The Central Minnesota Builders Association advocates its members growth and supplies resources to help educate building professionals on the best practices and professionalism in the Central Minnesota area. The MMBA represents several members, working in all facets of the building industry from General Contractors, Remodelers and Developers, to Sales and Marketing Experts, Architects, Excavators, Plumbers, Electricians and Financial Institutions. In short, we bring together all the players in this dynamic and ever changing industry to ensure that all citizens have access to the housing of their choice and the opportunity to realize the American dream of homeownership. The Vikingland Builders Association is a membership based organization that promotes the highest standards of construction and contractor work ethics, to ensure the best results in your contractor experience. The West Central Builders Association is an organization of trade professionals including residential builders/remodelers, subcontractors, suppliers, banks, accountants, real estate agents, developers and other companies that work in the building industry. They work together to help provide the best remodeling experience for homeowners. Habitat for Humanity's vision is a world where everyone has a place to live, with love leading to action by bringing people together to build homes, communities and hope. The Make-A-Wish Foundation® enriches the lives of children with life-threatening medical conditions through its wish-granting work. We love know that with our help children are experiencing hope and joy granted by the Make-A-Wish Foundation®. They have become on of the world's most well-known charities and with a network of nearly 25,000 volunteers continues to grant children's wishes everyday. 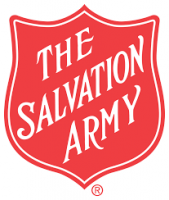 "Doing The Most Good" is the motto of the Salvation Army. By providing food, clothing, love, and care to those who need it, the Salvation Army is guided by the message of God to help rebuild broken homes and improve the lives of thousands. The Wounded Warrior Project was created to help empower and assist veterans who have been injured during international conflicts. LeafGuard Gutters of St. Cloud is happy to contribute to the cause. We are proud to be a certified Leafguard Gutter System installer!